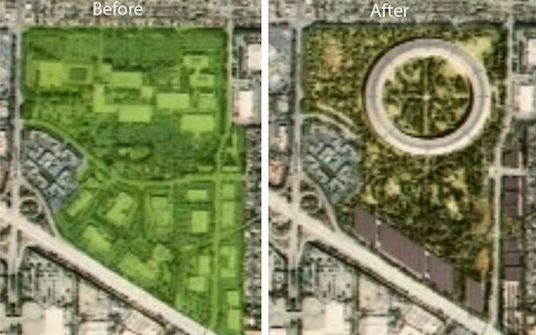 A video detailing the creation of Apple Campus 2 was released this morning featuring glimpses of the Spaceship’s architectural achievements in natural ventilation, renewable energy, trees regrowth, and other revolutionary tech that’s will make it one of the best office buildings in the world. 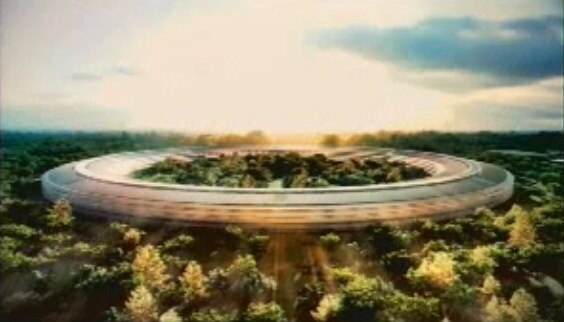 The video also features interviews of the people behind the campus, like architect Norman Foster, who tells the story of how Steve Jobs recruited him for the job of building Apple Campus 2 and how the project didn’t start as a circular building but grew into that as the intensive project progressed. You think the WWDC is the biggest thing on Steve Jobs’ agenda this week? Maybe not. 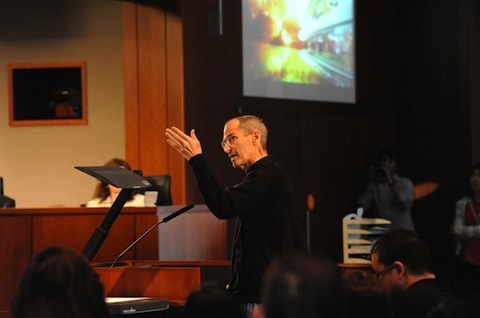 He gave his presentation for the use of the 150 acres that Apple bought from HP earlier this year to the Cupertino City Council today. In a world: Unbelievable. Jobs called the new building “a spaceship” and said Apple will use its experience in building retail store masterpieces to construct this “architectural landmark”. Parking underneath, the building would perhaps be used for events like the WWDC – Jobs mentioned that it would have a large auditorium and a single cafeteria that could seat 3,000 at a time. He wants to generate his own power using natural gas and other greener and more efficient fuels and use the grid as backup. They plan to break ground next year and to move in by 2015.